Vanderbilt University has emerged as one of the nation’s leading academic centers in neuroscience, the study of the nervous system and the brain. Researchers here are advancing understanding of autism, addiction and mood disorders, improving the treatment of Parkinson’s disease, Alzheimer’s disease and schizophrenia, and finding new ways to help children succeed in school. Thanks to recent advances in genetics, neuroimaging and computer science, researchers can track the complex wiring of the brain as never before. Of course, the brain is more than networks of nerves and bursts of chemical and electrical energy. It will take a concerted effort to understand how this remarkable organ regulates body temperature and circadian rhythms, controls movement, stores memories, acquires language and—perhaps most importantly—makes each individual unique. Vanderbilt’s approach is to invest in people, in cutting-edge facilities and technologies, and in a collegial atmosphere that encourages collaboration across far-flung disciplines, from biology, pharmacology and engineering, to psychology, psychiatry and neurosurgery. This commitment—to bring neuroscience from the laboratory to the clinic, the operating room, the pharmacy and the classroom “is something that’s really important,” says Jeff Balser, vice chancellor for health affairs and dean of the School of Medicine. 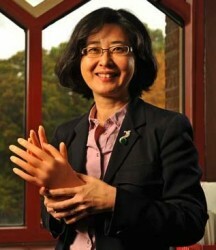 A version of this story appeared in the Spring 2012 issue of Vanderbilt Magazine. Since 2000, the university has spent more than $60 million on neuroscience facilities, programs and faculty, while the amount of neuroscience grants awarded by the National Institutes of Health (NIH) has nearly doubled, reaching more than $44 million last year. Vanderbilt’s neuroscience community today approaches 500 faculty members, students and staff in five schools and colleges, 22 departments, and 27 centers and institutes. “The physical proximity of all the schools … allows for effortless interactions,” says Vanderbilt psychologist Sohee Park, whose work has helped define the cognitive deficits of schizophrenia. For example, Vanderbilt engineers and neurosurgeons have joined forces to develop navigation systems that can guide the scalpel during brain operations. Neurosurgeons are partnering with chemists to develop fluorescent “labels” that can pinpoint the location of cancerous cells in the brain. Working with neurologists and psychiatrists, they also are studying deep brain stimulation as a treatment for Parkinson’s disease and obsessive-compulsive disorder. The technique involves inserting a thin wire deep into the brain, then applying an electrical current. Hubs of collaboration include the Vanderbilt Kennedy Center for Research on Human Development, the Vanderbilt Vision Research Center, the Center for Integrative and Cognitive Neuroscience, and the Vanderbilt University Institute for Imaging Sciences. Coordinating many of these efforts is the Vanderbilt Brain Institute (VBI). The institute links together “the enormously diverse and interdisciplinary community that is Vanderbilt neuroscience, with the ultimate goal of fostering the highest caliber of neuroscience discovery and training,” says VBI director Mark Wallace. Established in 1999 to promote neuroscience education and training as well as research, the VBI administers the Neuroscience Graduate Program, one of the leading programs of its kind in the country. Vanderbilt also sponsors a popular interdisciplinary neuroscience program for undergraduates, which encourages students to participate directly in research. The VBI helps raise public awareness about brain-related illness and the importance of brain research education through its sponsorship of the annual Brain Awareness Month. With support from the National Institute of Mental Health, Vanderbilt scientists also developed an interactive exhibit, “Brain Matters,” which opened last year at the Vanderbilt One Hundred Oaks clinical campus. Multimedia panels illustrate the workings of the brain, the history of brain science and the efforts of researchers to tackle major brain disorders. Vanderbilt neuroscience was built in part by psychopharmacologists who helped define—at the molecular level—the effects of drugs on the brain and nervous system. 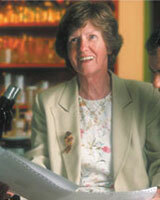 They include Fridolin Sulser, who helped develop tricyclic antidepressants, Elaine Sanders-Bush, whose lab made several important discoveries about the neurotransmitter serotonin and its receptors, and Randy Blakely, nationally known for his work on transporters, which sweep up neurotransmitter from the synaptic gap between nerve cells. Early in his career, Blakely discovered the genes for multiple transporters, including the serotonin transporter, target of the SSRI (selective serotonin reuptake inhibitor) antidepressants such as Prozac. Since then, he and his colleagues have identified transporter gene variations that contribute to autism, depression and attention deficit hyperactivity disorder (ADHD). 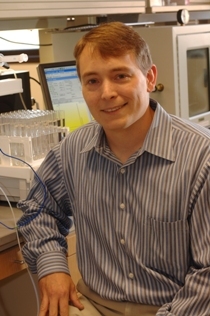 Blakely currently directs the Silvio O. Conte Center for Neuroscience Research at Vanderbilt, established in 2007 with a $10 million grant from the NIMH, as well as the Vanderbilt Postdoctoral Training Program in Neurogenomics. Last year, the Vanderbilt Center for Neuroscience Drug Discovery was established to support and expand efforts to find novel treatments for brain disorders. The center is directed by Jeffrey Conn, who trained under Sanders-Bush, and by fellow pharmacology professor Craig Lindsley. In a departure from traditional drugs that “turn on” or “turn off” neurotransmitter receptors, Conn, Lindsley and their colleagues have developed compounds called “allosteric modulators” that can “tune” receptors like dimmer switches in an electrical circuit. The hope is that this more subtle approach will control symptoms better with fewer side effects. Several compounds have shown promise in animal models of three different brain disorders. Parkinson’s disease, a progressive disorder characterized by uncontrollable muscle tremors and rigidity, is caused by the death of dopamine-producing neurons in the brain. Dopamine replacement therapy can relieve symptoms, but over time it becomes less effective and causes debilitating side effects. With support from NIH and the Michael J. Fox Foundation for Parkinson’s Research, Vanderbilt researchers are developing compounds that, by tuning a receptor for the neurotransmitter glutamate, may relieve the rigidity and “freezing” of certain muscles. A second project seeks to improve treatment of schizophrenia. Current medications can reduce hallucinations and delusions but they are less effective in relieving cognitive symptoms and social withdrawal. With funding from NIH and private industry, the researchers have identified compounds that work in two fundamentally different ways, and which they hope will alleviate all schizophrenia symptoms. A third endeavor is raising hopes for the first drug treatment to relieve learning, memory, social and behavioral problems associated with fragile X syndrome, a genetic condition that shares features with autism. Vanderbilt’s corporate partners are now completing animal tests of the schizophrenia and fragile X compounds required before they can be tried in humans. Early clinical trials could begin next year, Conn says. “The combination of cutting-edge basic research in the context of an academic drug discovery program provides Vanderbilt with a tremendous capacity to both identify and treat complex brain disorders,” says Blakely. One of the biggest advances of the past 20 years has been the development of functional magnetic resonance imaging, or fMRI. The technique measures changes in the magnetic properties of blood as it transports oxygen to brain tissue in response to increased activity. It thus can create “pictures” of brain areas that engage in reading, language and other cognitive functions. As post-doctoral fellows at Yale University, Isabel Gauthier and her husband René Marois were “early adopters” of fMRI. In 1999, they joined the department of psychology in Vanderbilt’s College of Arts and Science—Gauthier to explore how the brain develops face-recognition expertise, and Marois to pursue the neural bases of attention and information processing. 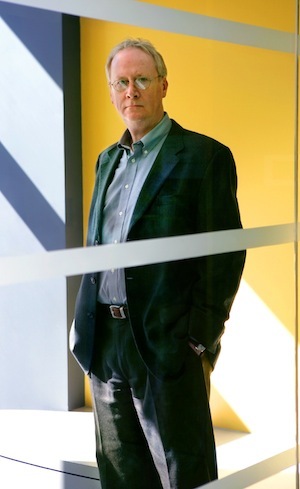 Three years later, one of their Yale mentors, John Gore, arrived with more than a dozen colleagues to establish the Vanderbilt University Institute of Imaging Science. A leader in brain imaging since the late 1970s, Gore was among the first to use fMRI to evaluate reading disabilities in children. The institute has become a magnet for other scientists, including Stephan Heckers, who arrived from the famed McLean Hospital in Boston in 2006 to chair the department of psychiatry and to continue his studies of the mechanism of psychosis. The study of individual nerve cells, or neurons, dates back to the 19th century. In the 1960s, groundbreaking experiments by David Hubel and Torsten Wiesel and other “mapmakers of the mind” inspired a generation of scientists to explore brain function at the cellular level. One of them is Vanderbilt psychologist Jon Kaas, who, during the past four decades, has made landmark contributions to understanding how sensory information is distributed and integrated in the brain, and how sensory areas in mammals have evolved. 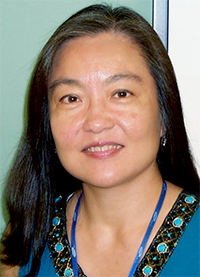 In recent years, advances in neuroimaging and electrophysiology (which measures the electrical activity of neurons) have accelerated research on perceptual systems such as vision and hearing, and computational models of thinking, memory and language. 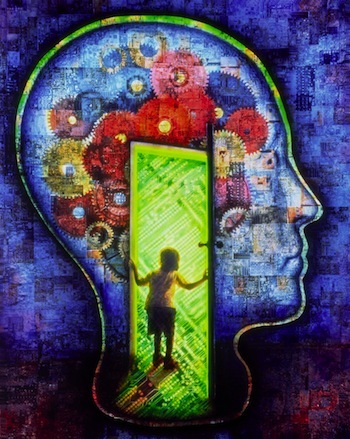 This field, called cognitive neuroscience, serves as a critical bridge between psychology and neuroscience, and has relevance for a wide range of brain and learning disorders. 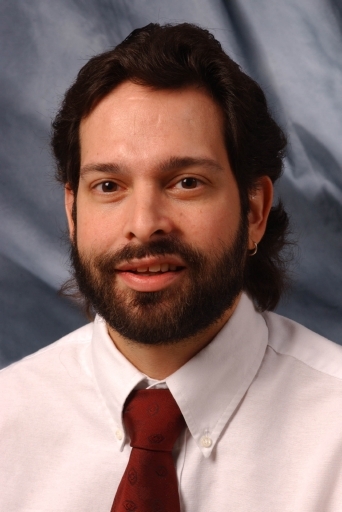 The Center for Integrative and Cognitive Neuroscience, directed by Jeffrey Schall, helps form and support alliances of investigators interested in studying how normal and abnormal behavior and cognition arise from the function of the brain. 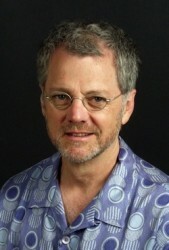 Center investigators in psychology include Randolph Blake, who uses behavioral and brain-imaging techniques to study the neural bases of human visual perception, with an emphasis on binocular vision and motion perception. His studies reveal tantalizing links between perception and schizophrenia and suggest that even aging and injured brains can learn new “rules” for seeing. In a recent study, Blake and colleagues Sohee Park and Jejoong Kim discovered that people with schizophrenia have impairments in a brain area involved in the perception of social stimuli. This may help explain why they tend to misread social situations. Other investigators include Frank Tong, who has pioneered methods to “decode” mental states from brain imaging signals, and Sean Polyn, who uses brain imaging methods as well as recordings of the electrical signals from the scalp to learn how memories are formed and retrieved. In collaboration with Robert Kessler in the School of Medicine, David Zald is using positron emission tomography (PET), a different imaging method, to explore how the neurotransmitter dopamine varies with personality and risk for addiction. Through his Multisensory Research Laboratory, VBI director Mark Wallace uses brain imaging to better understand how the brain “binds” together information from sight and sound, and how changes in such binding may play a role in developmental disabilities such as autism. 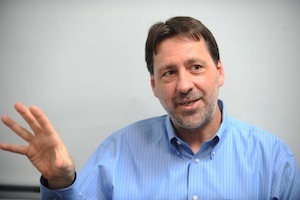 Across 21st Avenue, in the department of special education at Peabody College, Paul Yoder has applied event-related potential (ERP), a way of measuring how the electrical activity of the brain changes in response to thoughts or perceptions, to evaluate ways to help children overcome language delays. Lynn Fuchs and Doug Fuchs, a husband-and-wife team in special education, have used fMRI to assess interventions aimed at improving math skills. So has Bruce McCandliss, who arrived from Cornell University in 2009 to establish the Educational Neuroscience Laboratory in Peabody’s department of psychology and human development. McCandliss is trying to identify educational interventions that can “reshape” the brain and bolster cognitive skills such as paying attention and reading. Nashville’s contributions to brain science date back at least to 1954, when Lloyd Dunn and Nicholas Hobbs established the nation’s first doctoral-level research training program in intellectual disabilities at the George Peabody College for Teachers. A few years later, Peabody developmental psychologist Susan Gray launched a preschool intervention program for low-income children that inspired the national initiative known as Head Start. This expertise earned for Peabody College one of the first federally funded centers for research on intellectual and developmental disabilities. 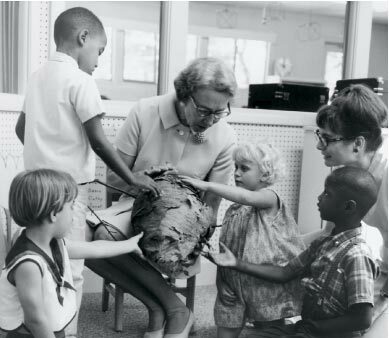 With support from the Joseph P. Kennedy Jr. Foundation and the National Institute of Child Health and Human Development, the John F. Kennedy Center for Research on Education and Human Development opened in 1965. In 1979, Peabody College merged with Vanderbilt University, a move that would encourage more collaboration between their individual psychology departments, and bring to the Kennedy Center the diverse talents and expertise of researchers from the Schools of Medicine and Nursing and the College of Arts and Science. “At the Vanderbilt Kennedy Center, neuroscientists work hand-in-hand with behavioral and educational researchers—along with clinicians, service providers, and individuals with disabilities and their families—to solve the puzzles of complex developmental disabilities,” says Elisabeth Dykens, who has directed the center since 2009. Since 1998, the number of Kennedy Center investigators with primary faculty appointments at Vanderbilt has more than tripled—to 220 last year. Federal support also increased substantially. Today the Vanderbilt Kennedy Center is among a select few that receive all three major federal infrastructure grants in developmental disabilities. Animal models provide a gold mine of information relevant for the human condition. Kendal Broadie in the department of biological sciences is studying how the synapse develops in the fruit fly Drosophila. His work is shedding light on fragile X syndrome, in which synaptic development and function go awry. In the School of Medicine, Bruce Carter in biochemistry is exploring mechanisms of nerve cell death in rats and mice, whereas David Miller in cell and developmental biology uses the worm C. elegans to study how synaptic connections are “remodeled.” Their work has relevance for a wide range of disorders including Alzheimer’s disease. Vanderbilt’s zebrafish facility, one of the largest in the country, enables developmental biologist Josh Gamse to study the tiny, transparent fish for clues to the development of brain asymmetry, the preferential localization of certain functions on one side of the brain or the other. Disruptions in this process may contribute to autism, dyslexia and schizophrenia. 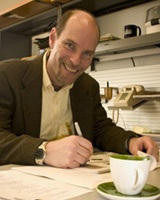 Studies in a variety of species including star-nosed moles, snakes, alligators, naked mole rats, tree shrews and primates conducted by Kenneth Catania (recipient of a MacArthur “genius grant”) in biological sciences, Troy Hackett in hearing and speech sciences, Jon Kaas in psychology and Vivien Casagrande in cell and developmental biology have revealed much about the organization and evolution of the sensory systems of the brain. 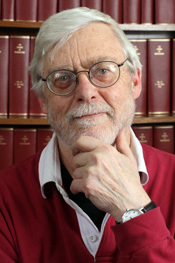 Also in the department of psychology, Geoffrey Woodman studies how electrical signals recorded from the scalp reveal cognitive processes like attention and short-term memory, and he has extended this to research with monkeys so that he can locate the sources of the signals. In collaboration with John Gore in the Vanderbilt University Institute of Imaging Science, psychologists Anna Roe and Alexander Maier use a specialized MRI technique, optical imaging and electrophysiology to study the functional organization of the primate brain. 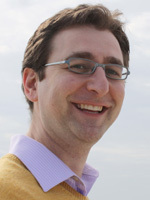 Jeffrey Schall uses a primate model to explore how the brain regulates its own actions. Schall, Gordon Logan and Thomas Palmeri are linking the dynamics of neuron signals to cognitive processes through the use of mathematical models. “These very same models can predict human behavior,” says Palmeri. 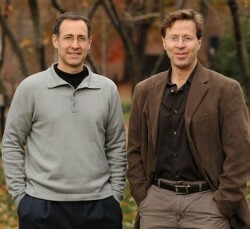 In 2005, René Marois in psychology and Owen Jones, a professor of both law and biology, began a unique partnership at Vanderbilt to understand how judges and jurors determine criminal guilt and punishment. Their work together, using fMRI, revealed the brain activity that underlies decisions whether or not to punish and, if so, how much. At the same time, Jones and Jeffrey Schall , Ingram Professor of Neuroscience, began co-teaching a trans-departmental Law and Neuroscience course, among the first in the nation. 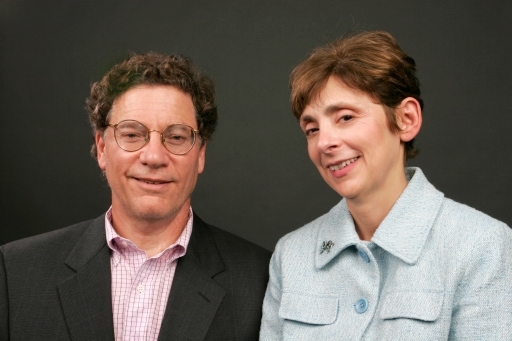 Since then, Marois, Jones and Schall became members of a national “neurolaw” team of scientists and legal experts funded by a $10 million grant from the John D. and Catherine T. MacArthur Foundation. 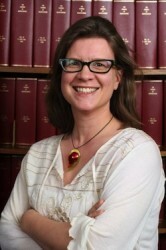 A subsequent $4.8 million grant in 2011, also from the MacArthur Foundation, established the national MacArthur Foundation Research Network on Law and Neuroscience, headquartered at Vanderbilt and led by Jones. In 2010 Vanderbilt also launched the first coordinated, joint degree—culminating in both a J.D. in law and a Ph.D. in neuroscience—to begin training a generation of “brain-savvy” lawyers and judges. The goal of all of these efforts is to improve the fairness and effectiveness of the criminal justice system—not only by distinguishing between appropriate and inappropriate uses of neuroscientific evidence, but also by using neuroscientific techniques to enrich understanding of the decisions and behavior of defendants, judges and jurors. “Neuroscientific evidence is already entering the legal system—for better and, sometimes, for worse,” Jones says. While neuroimaging can provide corroborating evidence of brain dysfunction, for example, it is not a simple matter to draw causal connections between brain dysfunction and particular behaviors of interest to the law.